The United States has long been hailed as a powerful force for global human rights. Now, drawing on thousands of documents from the CIA, the National Security Council, the Pentagon, and development agencies, James Peck shows in blunt detail how Washington has shaped human rights into a potent ideological weapon for purposes having little to do with rights—and everything to do with furthering America's global reach. Using the words of Washington's leaders when they are speaking among themselves, Peck tracks the rise of human rights from its dismissal in the cold war years as "fuzzy minded" to its calculated adoption, after the Vietnam War, as a rationale for American foreign engagement. He considers such milestones as the fight for Soviet dissidents, Tiananmen Square, and today's war on terror, exposing in the process how the human rights movement has too often failed to challenge Washington's strategies. 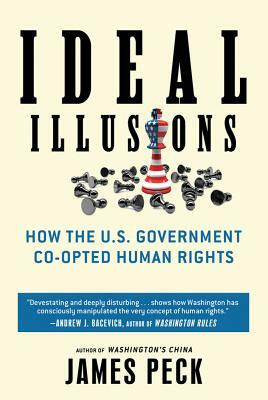 A gripping and elegant work of analysis, Ideal Illusions argues that the movement must break free from Washington if it is to develop a truly uncompromising critique of power in all its forms. James Peck is the author of "Washington's China." The founder of the Culture and Civilization of China project at Yale University Press and the China International Publishing Group in Beijing, he has written for "The New York Times" and the "San Francisco Chronicle," among other publications. He lives in New York City.